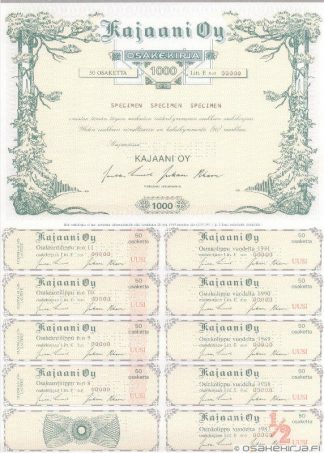 A paper industry company Kajaani was est. in 1907. It started as sawmill, and expanded soon into cellulose production and paper manufacturing. Kajaani was merged with Yhtyneet Paperitehtaat in 1989 and is today a part of UPM Ltd. The share of Kajaani was listed in the Helsinki Stock Exchange from 1919 to 1989. Nature of business: Manufacturing of paper, sawn goods and joinery products. 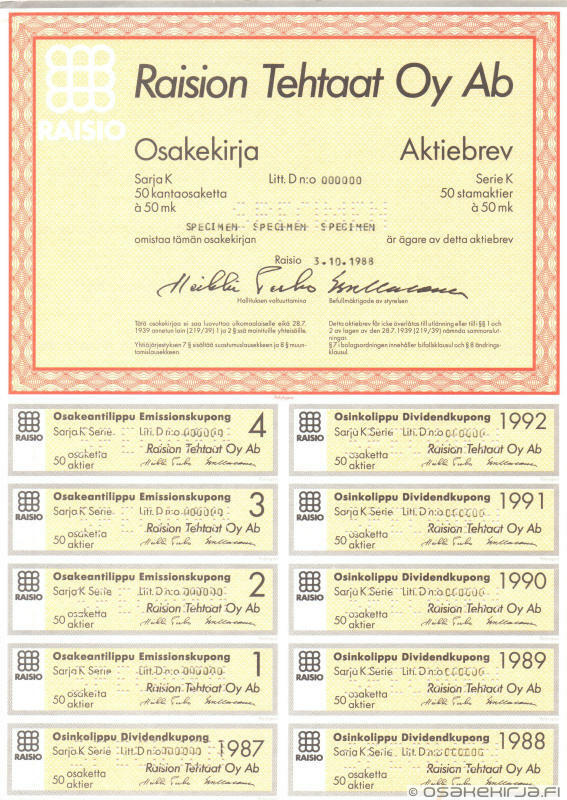 The vignette of Kajaani’s certificate represents pines and spruces, which are very typical species in Finnish forests.